Christian traditions have tried to determine the location of this miracle. 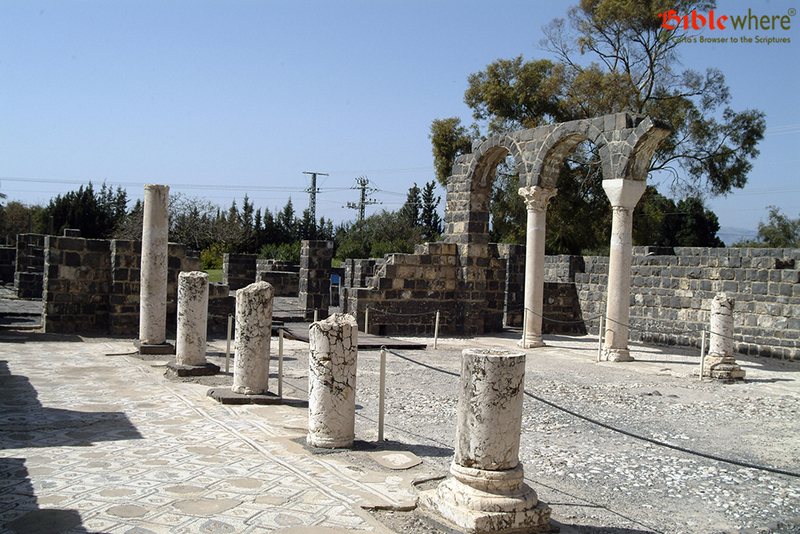 The well-known monk, Saba, traveled around the Sea of Galilee at the end of the 5th century, and arrived at a place called Kursia. A Muslim geographer mentions Kursi in the 13th century. 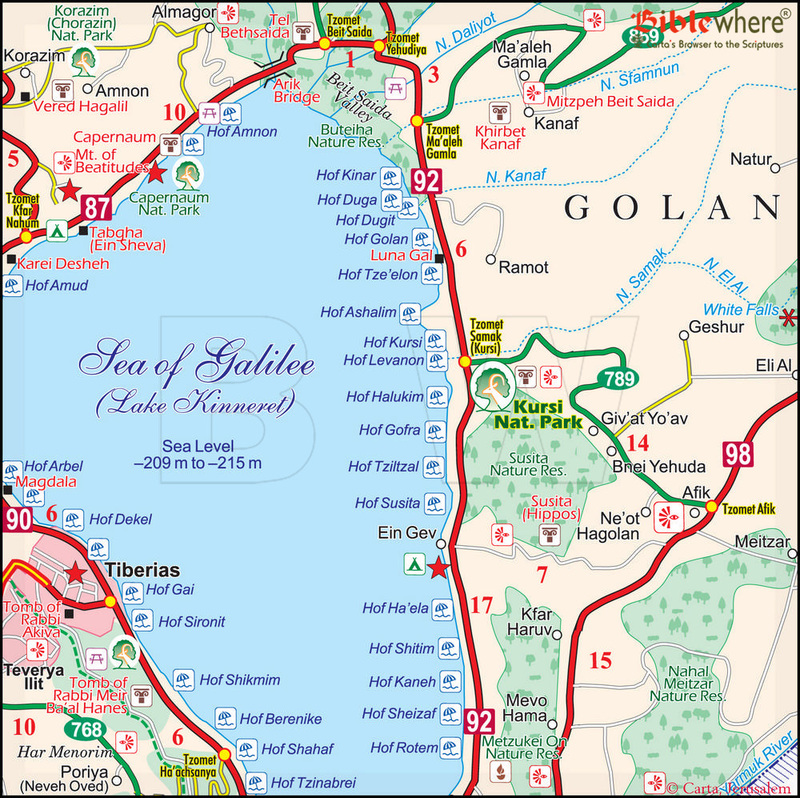 Prior to commencement of the paving of the Sea of Galilee circuit road in the northeast area, as well as a road leading up to Ma’aleh Gamla (junction of routes 92 and 869), no Christian site was known to be in the area. No sooner had work begun at the intersection of these two new roads, than ruins of the ancient settlement of Kursi were discovered. 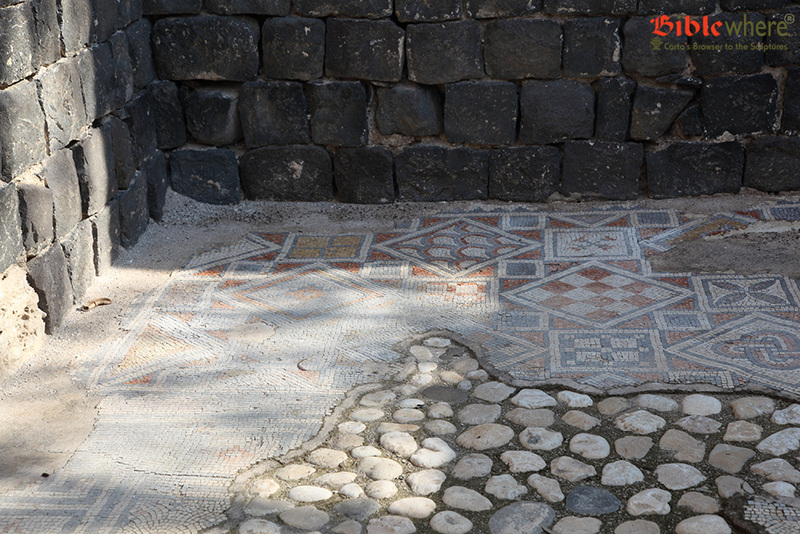 The route for the road was changed and orderly excavations began that revealed the remains of a monastery and large church dating from the 5th or 6th century. 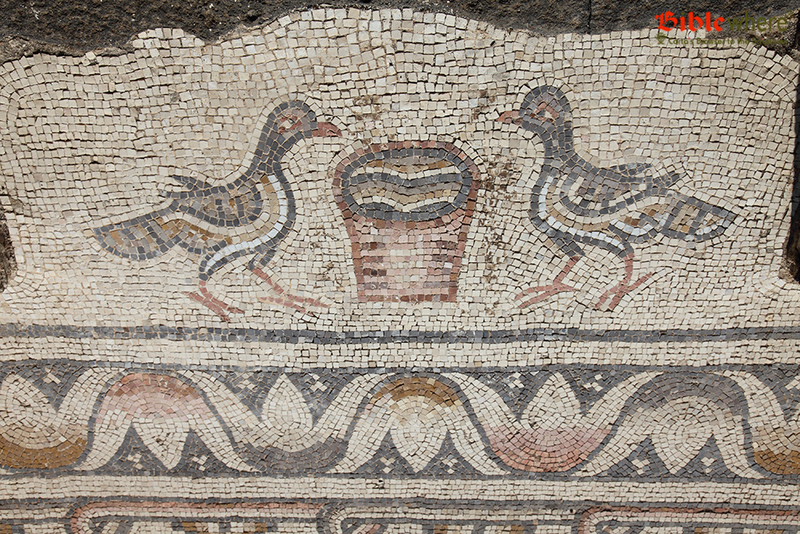 The finds were prepared as an archaeological site and declared a National Park. 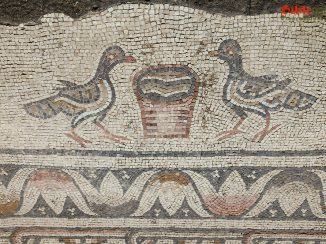 The church has a mosaic floor with geometrical designs and depictions of animals. 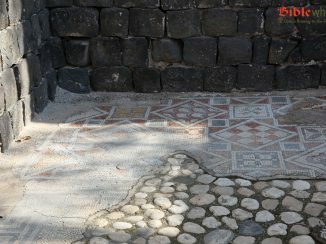 An inscription indicates that the mosaic was done in the time of Stephan[os], lover of God, head of the church and bishop (585 AD). 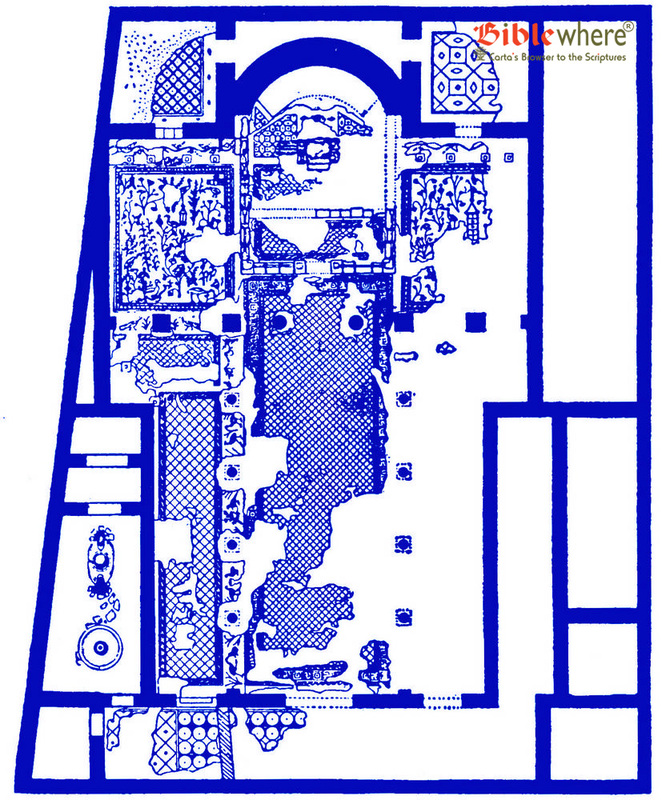 In 741 AD, the structures were destroyed by an earthquake and Kursi was abandoned by the Christians. In the second half of the 8th century Arabs settled in the church compound and made additional changes. 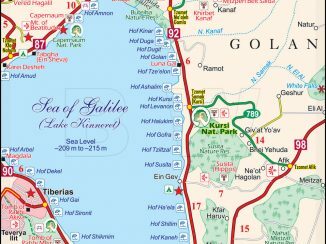 This valley is about 6,260 acres in area and empties into the northeastern area of the Sea of Galilee. 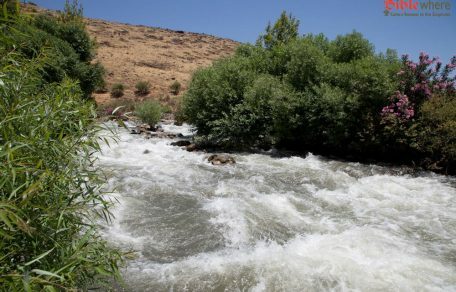 It is traversed by streambeds that descend from the Golan Heights and flood the valley during the period of the winter rains. It is a reserve of rivulets and lagoons containing an abundance of water plants including some tropical species, water fowl, fish species, and a center for migrating birds. There are two marked hiking trails in the valley: the Zaki trail and the Majrasa (Daliyot) trail. Part of the Zaki trail must be swum. 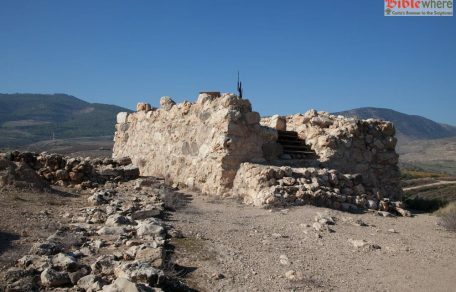 Entrance to the hiking trail is from the Arik Bridge on route 87, or from the Beit Saida junction. This is a regulated beach on the northwestern shore of the Sea of Galilee. There is a water park and activities for children and adults. 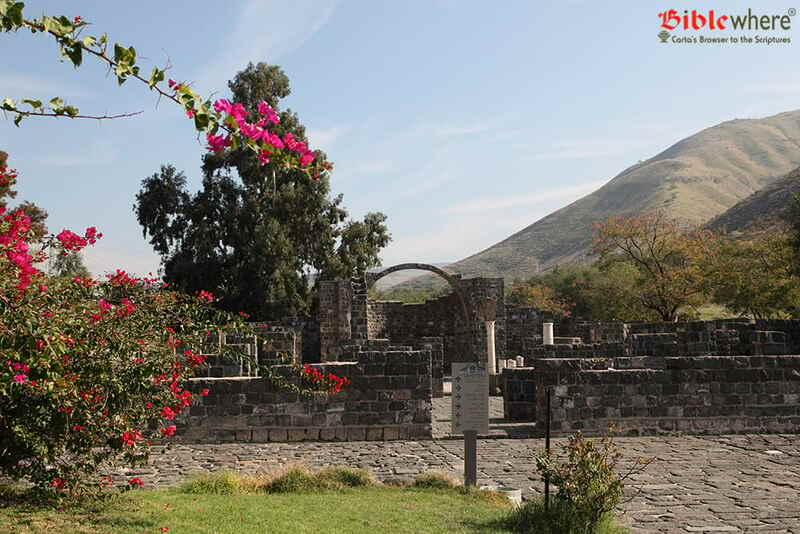 Tabgha (Ein Sheva) is located on the northwestern shore of the Sea of Galilee. There are seven springs, hence the derivation of its name both from the Hebrew (sheva=seven) and the Arabic. 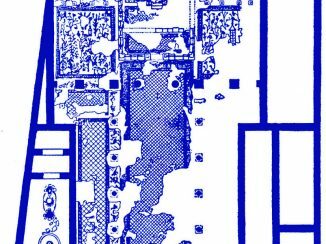 Tabgha is a corruption of the Greek “Heptapegon,” meaning seven. By the shore there are several places holy to Christians. 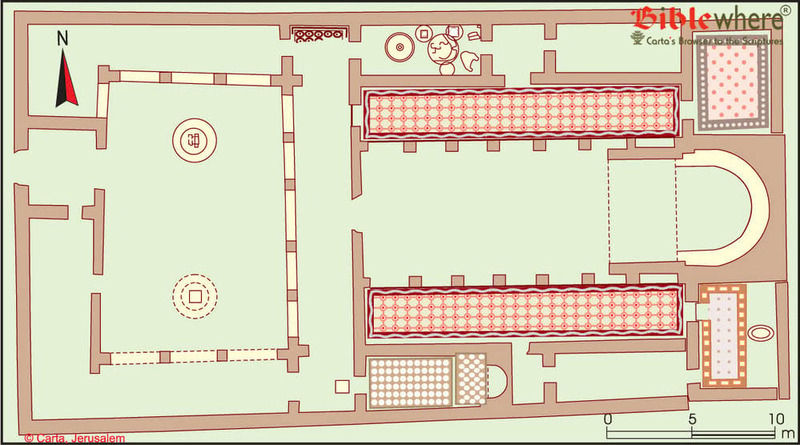 Heptapegon (Tabgha) — plan of the Church of the Multiplication of the Loaves and Fishes. Church of the Multiplication of the Loaves and Fishes. 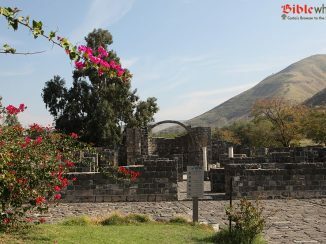 This church is from the Byzantine period. According to Christian tradition, Jesus distributed 5 loaves of bread and two fish to his disciples who then fed a multitude of 5,000 followers (Matthew 14:13–21; Mark 6:30–44; John 6:1–14). St. Peter’s Church. This church was built from basalt rock in 1934. 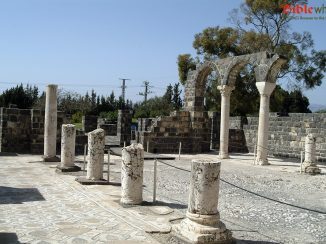 According to the tradition, the apparition of Jesus to the Apostles after the resurrection took place here (John 21:1–17).